Sassa Akervall has a BA in communication from the University of Lund, Sweden. Before becoming CEO and the majority owner of Akervall technologies Inc. (ATI) she worked as a copywriter, TV host for her own shows, TV producer, writer/reporter and children’s books author. She has taken ATI from the kitchen table with $5k in revenues 2009 to 24 employees in 2017, a consistent 50% annual growth rate, owning her own plant, and with global partners like Reebok/CCM and a Swedish subsidiary. She has won several awards for the company, e.g. 50 Companies to Watch in Michigan 2014, Accelerate Michigan Innovation Competition – Advanced Materials in 2014 and 2015, Enterprising Women of the Year nominee 2015 and STEP Ahead Award 2016. In 2017 Sassa, and her husband Jan were both finalists in the EY Entrepreneur of the Year competition. 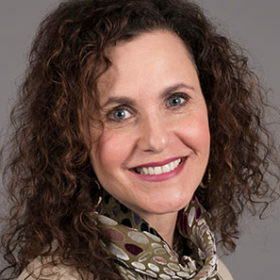 She is a member of SBAM’s Board of Directors, Saline Area Chamber of Commerce Board of Directors, and on the Advisory Board of Enterprising Women Foundation for the second year in a row.